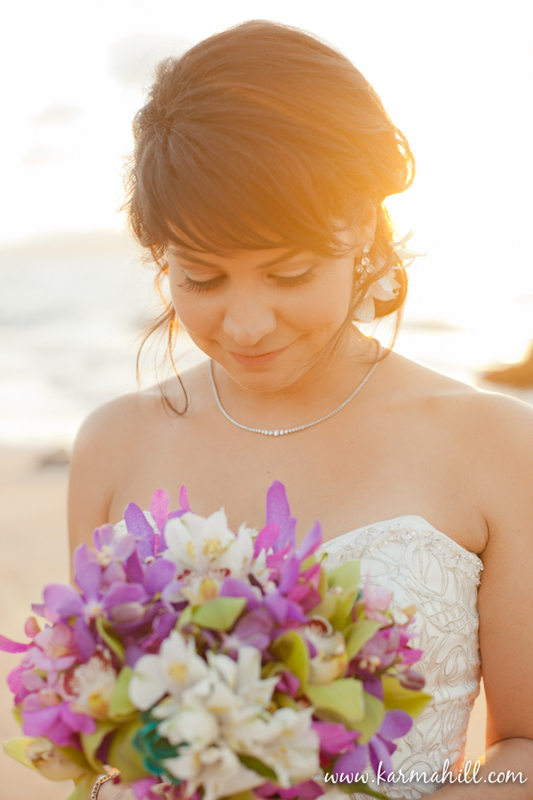 Dreamy, Magical, Perfect. 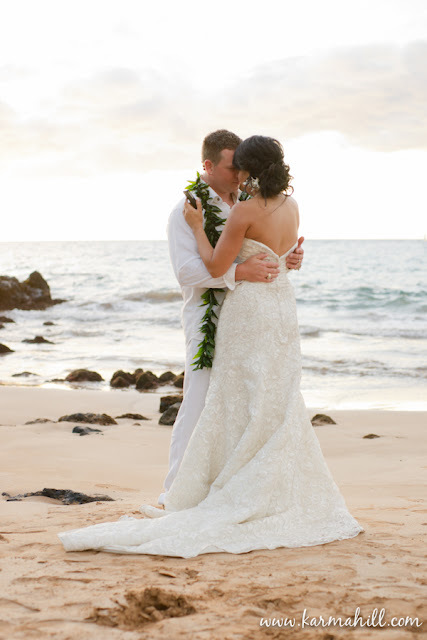 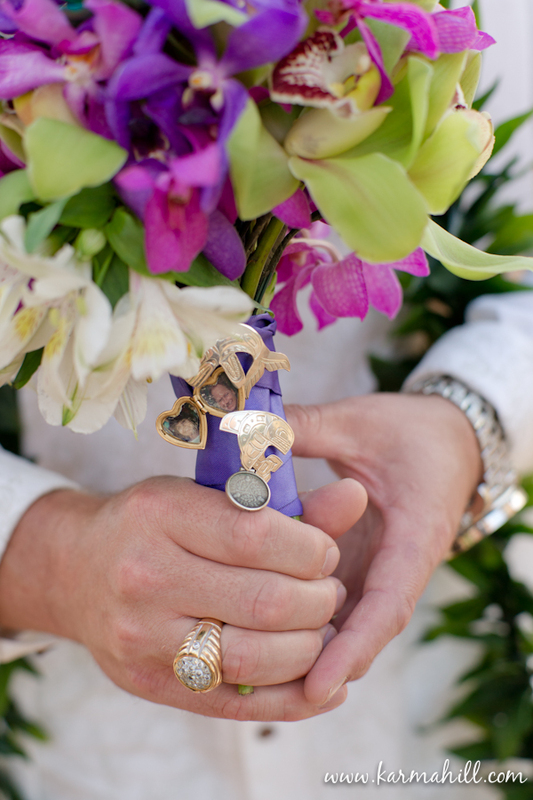 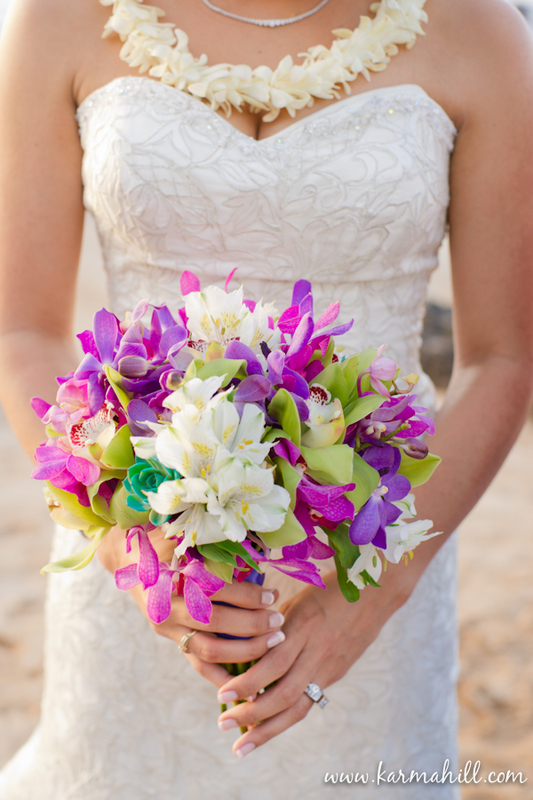 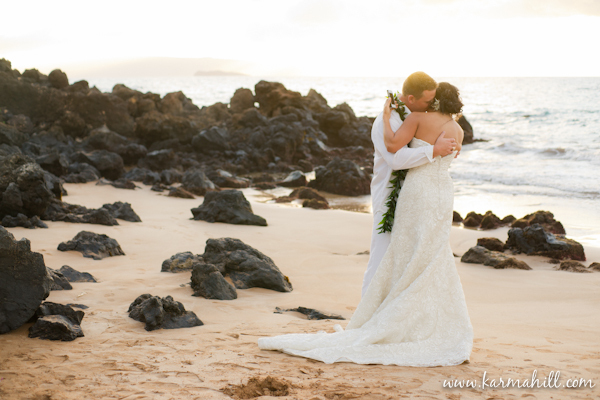 All words that describe Amanda and Jeff's Maui Beach wedding. 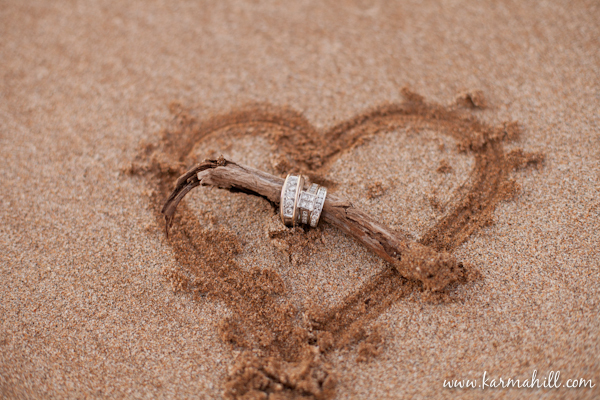 This couple from Canada were meant to be. 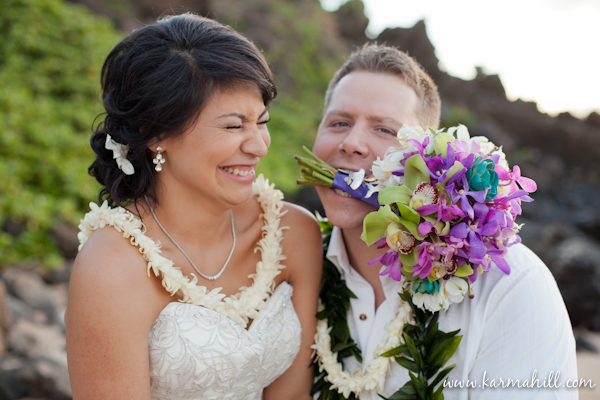 They had so much fun together, laughing, kissing and just all around loving being in each others presence. 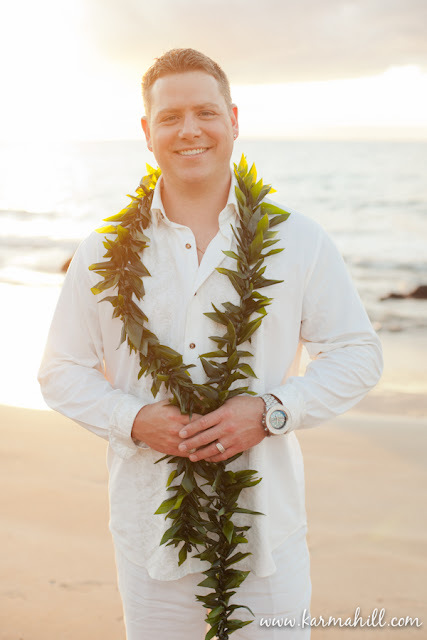 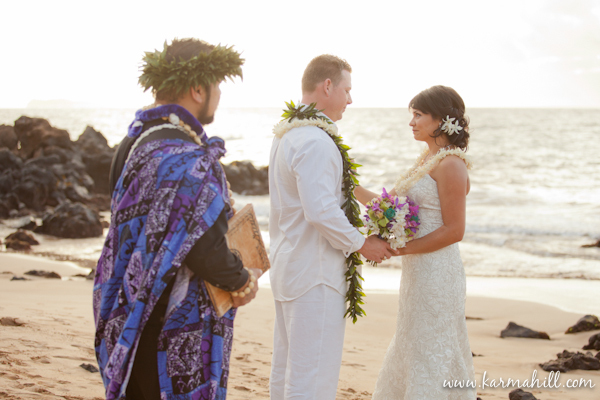 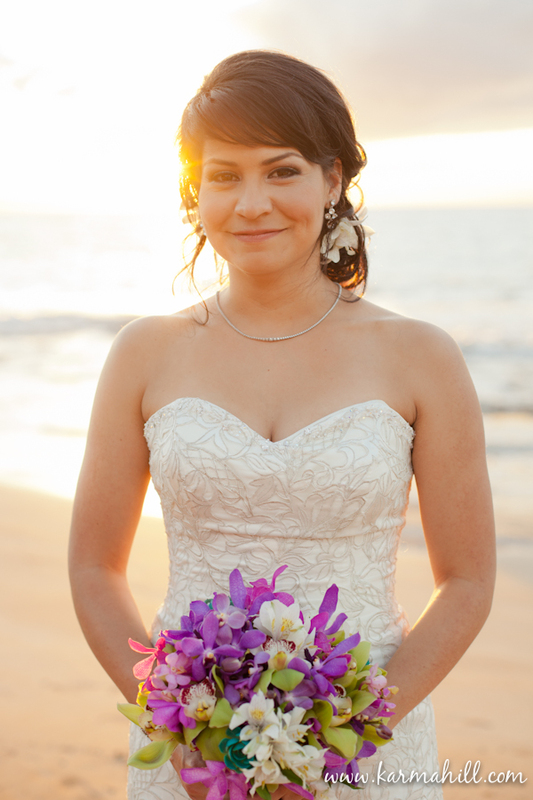 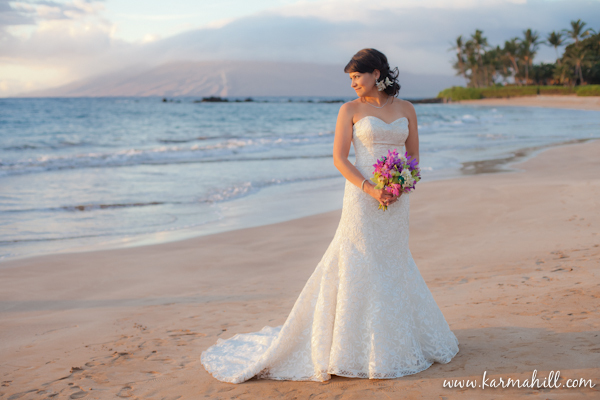 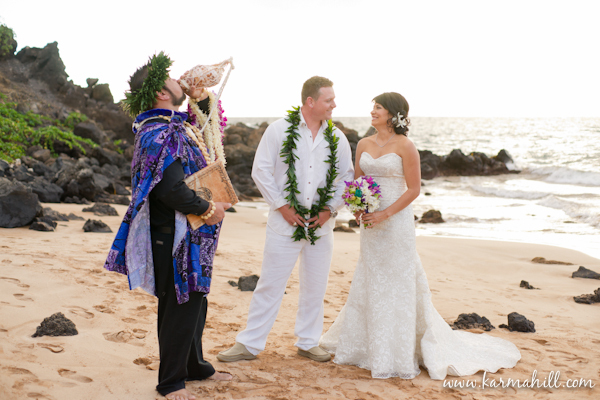 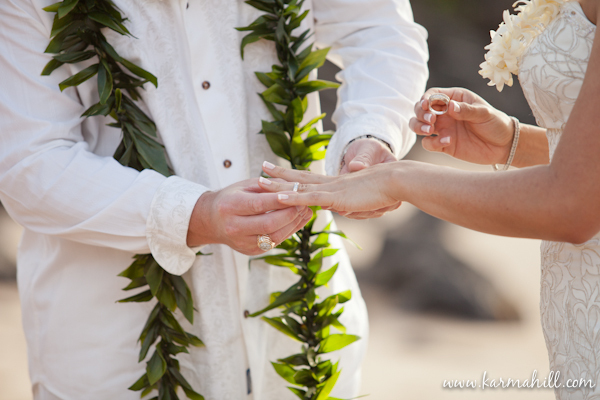 They were married just before sunset on our favorite Southside beach with Kahu Kamuela presiding over their ceremony. 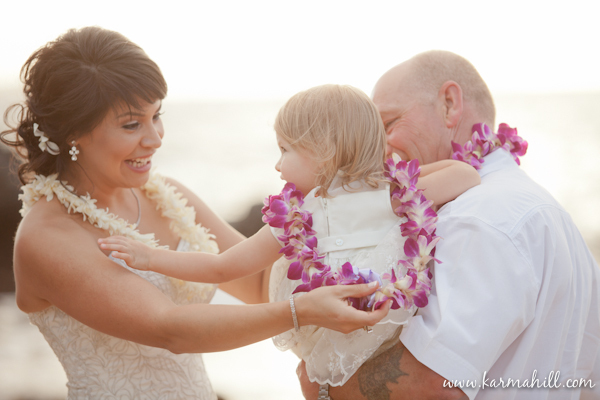 They were joined by Jeff's parents and their 21 month old daughter, who decided ALL the leis were for her. 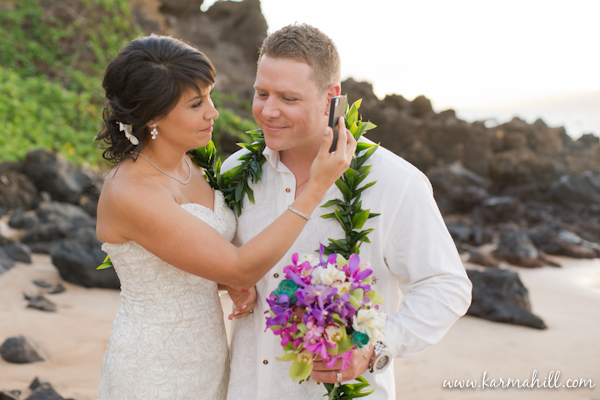 Amanda surprised Jeff after the ceremony with custom engraved silver hearts and a private first dance to their song played on her iphone. 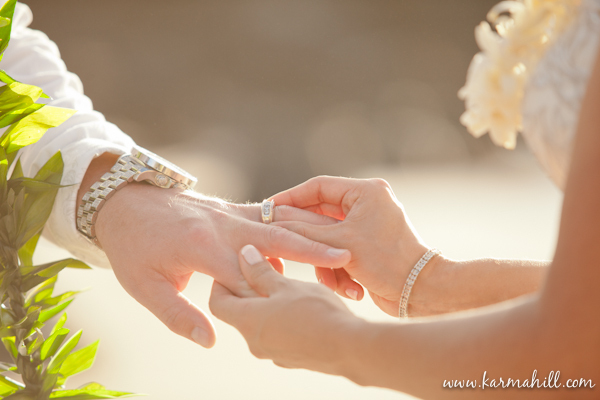 It was a joy filled affair that we were SO very happy to be a part of. 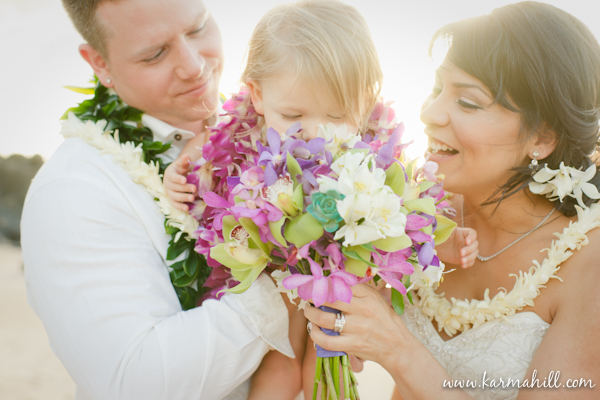 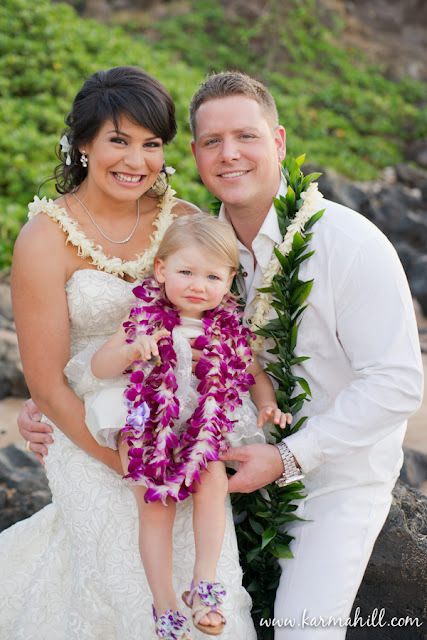 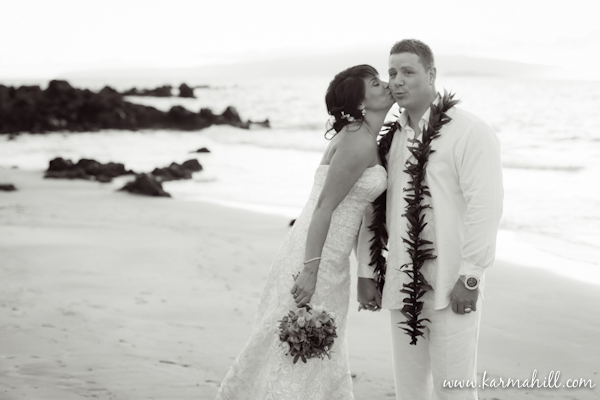 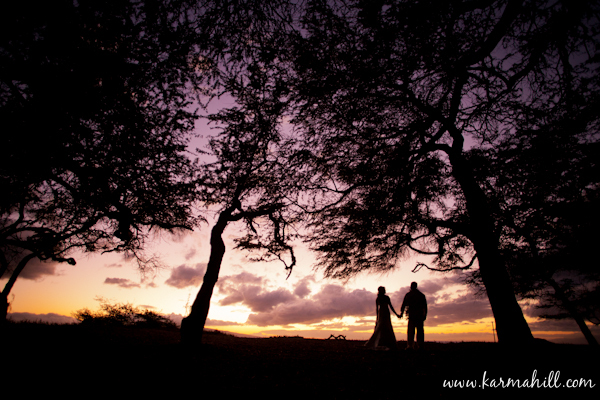 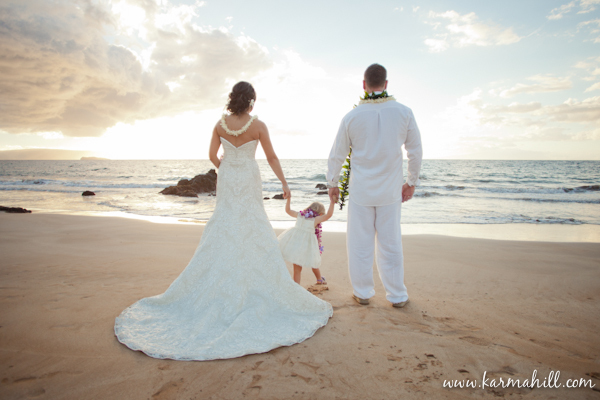 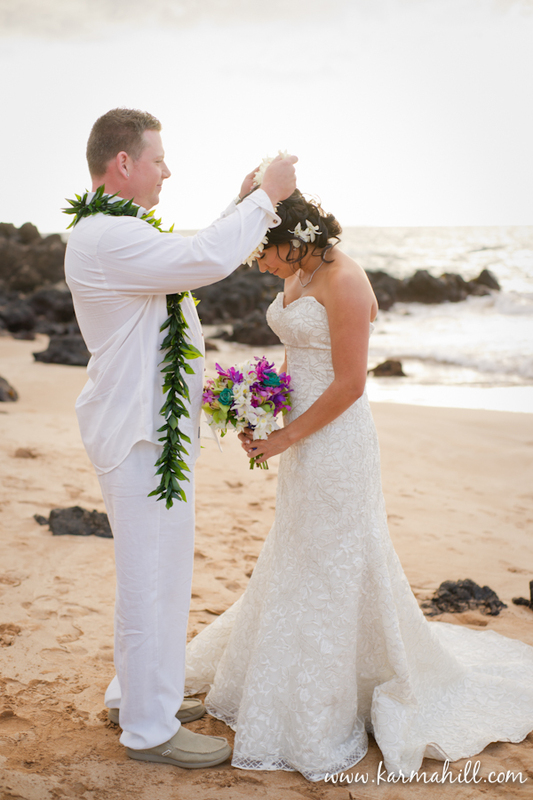 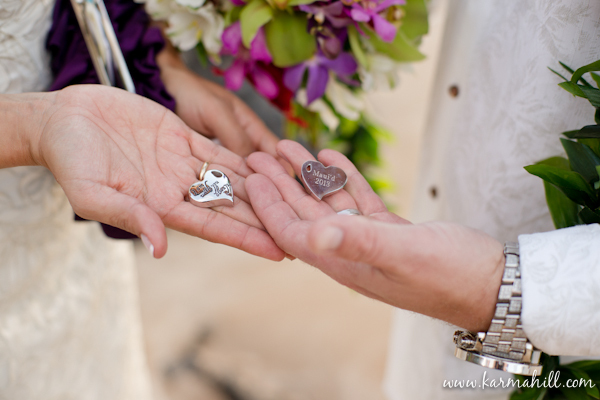 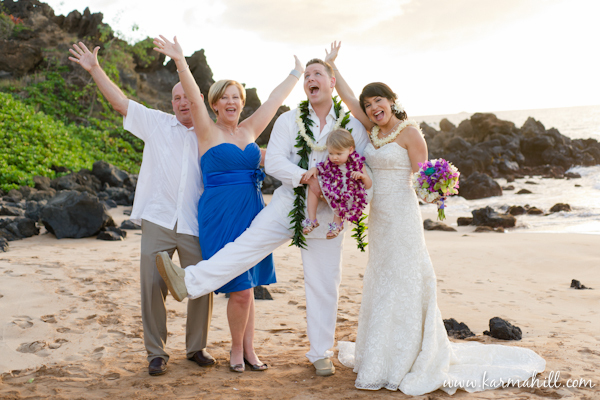 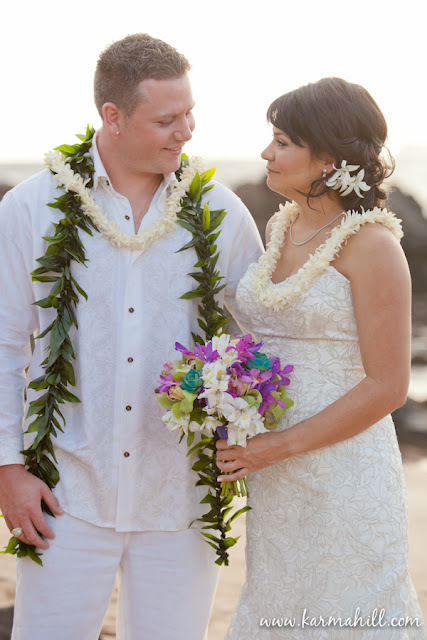 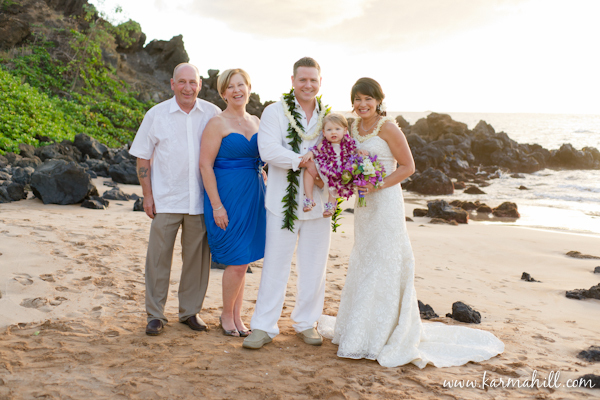 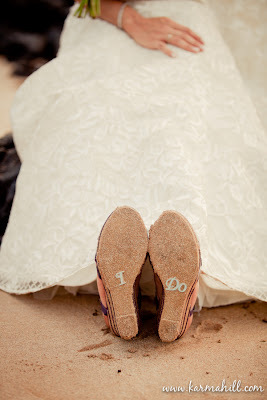 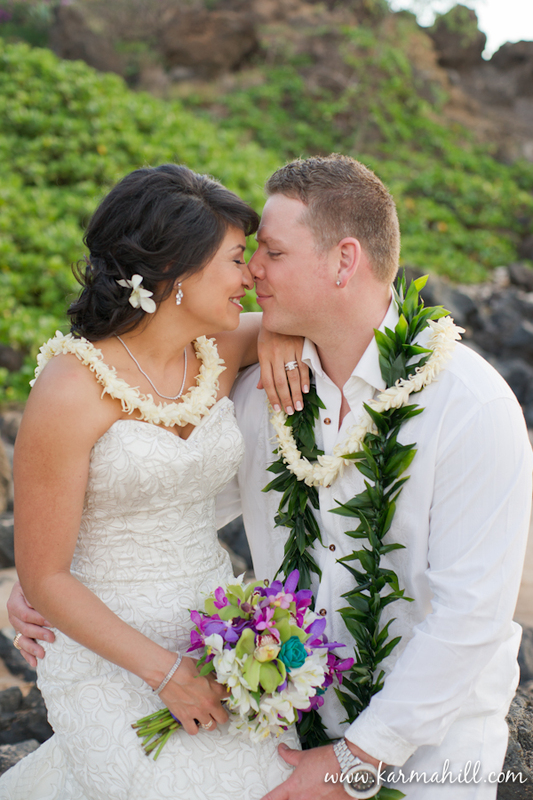 Big mahalos to Amanda and Jeff for choosing us to be your Maui wedding team, we had so much fun with you!! 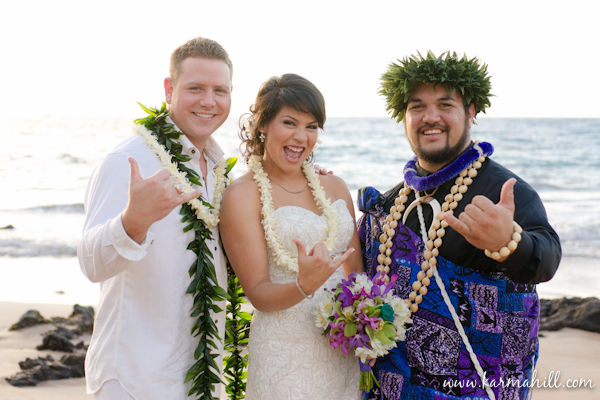 You all look great together wishing you all every happiness.